Kristina Casola is a licensed marriage and family therapist in San Diego, California. 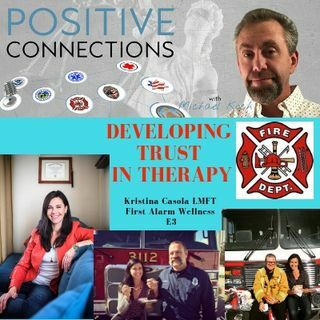 Kristina has spent the last 15 years providing counseling to first responders, veterans and victims in crisis situations. She has developed strong relationships with Fire and Police departments along with the medical and mental health field. Kristina talks about how we can band together and work towards a common goal of providing the best care to the ones who provide their best care to everyone else.